For many homeowners, finding the best pressure canner to preserve a number of foodstuffs at home can prove to be a real gamble. Canning Fruits and vegetables with a pressure canner are the safest way to preserve them. How to Choose the Best Pressure Canner? You’ve come to the right place. Without the right knowledge, many homeowners might probably end up with a pressure canner that performs way below their expectations. The best pressure canners come with so many features to go for if you must enjoy its use. These features will include the gauges, plastic handles, pressure relief valve, easy usability, aluminum finish and many others. While finding the best, you must focus on them. But don’t you worry. 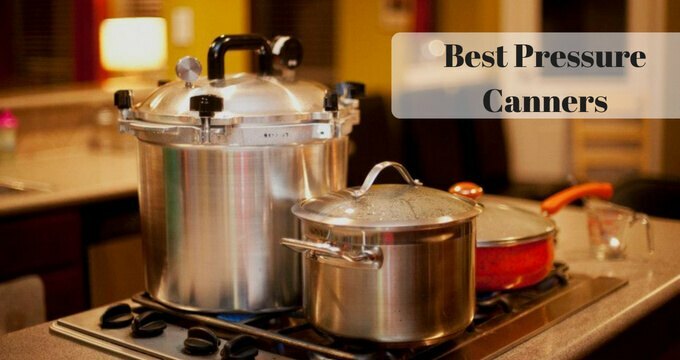 If you are looking for the best pressure canner reviews to help you do the job, we have sampled up some of the top selling brands from renowned online shops to make your job really easy. Read along to find out and make your choice simple. Just by the size of it, you will love this pressure cooker. The New All American 915 USA Made 15.5 Quart Pressure Canner/ Cooker holds up to 10-pint jars or 7-quart jars. This acts as a standard capacity for an ideal home. 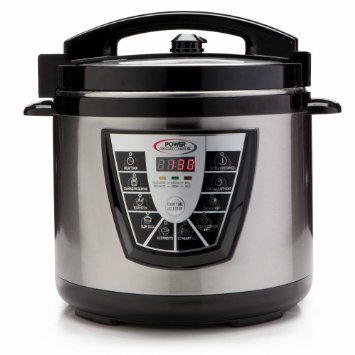 Additionally, this rather new brand of best pressure cookers has a HandCast aluminum that gives it a unique touch. The hand cast aluminum has a satin finish that adds to its glow, beauty, and ease to use when operating. It also employs a metal to metal sealing technology for maximum efficiency when in use. This provides a steam-tight sealing capacity for safety and one that ensures the pressure canner operates efficiently without a gasket head. 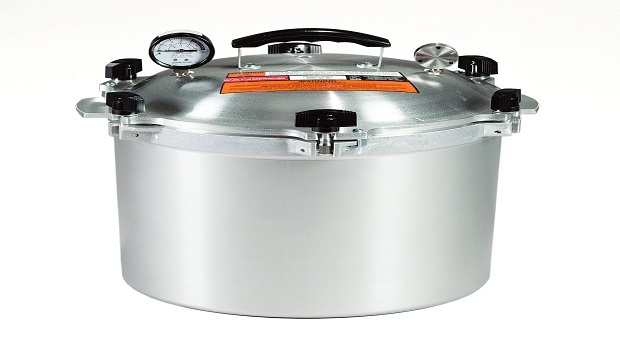 Like any other great brand, The New All American 915 USA Made 15.5 Quart Pressure Canner/ Cooker also comes with a steam gauge allowing you to know exactly when your pressure cooker is actually operating at ideal levels. However, the best part on this pressure canner is that it has an automatic overpressure release that works with the steam gauge to make sure that you maintain the right pressure levels. This is wonderful veggies, stew, and tender meat. The pressure canner is customized to be set at 5 psi, 10 psi, and 15 psi. The canner weighs just about 15 pounds making it an excellent option for any home use/ needs and for easy portability. Using The New All American 915 USA Made 15.5 Quart Pressure Canner/ Cooker is really easy since the cooker is automatic. It is also pretty easy to clean once you are done using it. The product also works with heat resistant meat shredders, and another ideal crockery. Complex to use without a manual. Because it is a recent addition to the All-American series, when we researched the product we realized that many guys are yet to purchase it. However when on testing it the New All American 915 USA Made 15.5 Quart Pressure Canner/ Cooker proved to be one of the best pressure cookers for any home. 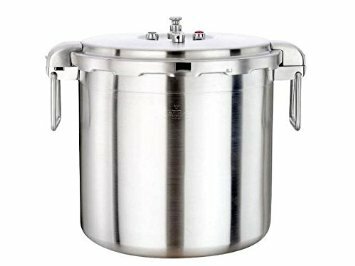 By its sheer size, you will realize that The Buffalo Stainless Steel Commercial Series Pressure Cooker (32-Quart) is huge. Carries up to 32-quart jars – for commercial use; you can even store your jars one on top of the other. Apart from that, the pressure cooker is made out of Buffalo Clad. Meaning it has the faster thermal conductivity capacity that provides maximum efficiency. This makes it more efficient than the conventional stainless steel cooker. The Buffalo Stainless Steel Commercial Series Pressure Cooker (32-Quart) also has a pressure indication valve. This is very important as it allows you to monitor your pressure in time for easy release and ideal cooker performance. Additionally, it has a relieve pressure easily device (Emergency pressure release safety). This prevents any injuries, burns, or fatal hazards when the cooker releases any form of overpressure. The pressure cooker has a safety lock along the handles, a vent filter, and an extra safety valve. The pressure release hole is efficient and very durable. Additionally, it has a safety gear that helps to hold the lid in place always. Because it is forged from stainless steel alloy, The Buffalo Stainless Steel Commercial Series Pressure Cooker (32-Quart) is highly durable. Many users reported having used it for over five years since they first bought it. The pressure cooker weighs just about 17 pounds. It measures 18.5 x 18.75 x 18 inches. The Buffalo Stainless Steel Commercial Series Pressure Cooker (32-Quart) is good for stews, desserts, and steamed dumplings. The Buffalo Stainless Steel Commercial Series Pressure Cooker (32-Quart) is really easy to use. To make good use of the pressure cooker, add our seasonings/ meat and water and cook for about 20 minutes. The cooker has very ideal safety valves so don’t worry about getting burned – you won’t. Not ideal for smaller families. The Buffalo Stainless Steel Commercial Series Pressure Cooker (32-Quart) is one of kind. With its three different pop-up valves, this pressure cooker, assures the user of an awesome efficiency. It also distributes heat evenly. However, if you love the vented grate, this cooker has none. This is a great turn off for many users who loved the cooker. We all loved the All American (921 21-1/2) Quart Pressure Cooker. The pressure canner holds up to 19-pint jars. This is equivalent to 7-quart jars. Like its All-American cousins, the canner is forged from a HandCast aluminum alloy with a stylish satin finish. This metallic alloy is very durable. For maximum efficiency when cooking, the pressure canner employs a metal to metal technology. This is usually steam tight for fast cooling. The All American (921 21-1/2) Quart Pressure Cooker has no gaskets as the metal to metal technology does the same job as a gasket. Additionally, this pressure cooker also comes with a geared steam gauge. This allows you to easily monitor steam levels in your cooker. That’s not all. It also has an automatic overpressure release valve that makes a pressure release easy and spontaneous for every pressure setting. These two automatic venting features make the All-American (921 21-1/2) Quart Pressure Cooker very safe and easy to control for home use. In fact, for a variety of foodstuffs including veggies, pork, meat, and cereals, this canner will leave you with a wonderful result (it will kill more bacteria). The All American (921 21-1/2) Quart Pressure Cooker also comes with additional screws on the top. These screws help to seal the lid to the cooker. The All American (921 21-1/2) Quart Pressure Cooker, however, weighs 20 pounds and measures just about 16 x 15 x 17 inches making it a little weighty. For the very first time users, the All-American (921 21-1/2) Quart Pressure Cooker is made of a large hunk of metal. You’ll have to first put it on the stove before loading it with your foodstuff. After this, you can then put the stove on. Ideal for large and standard families. Comes with two safety automatic vents. Generally, the All-American (921 21-1/2) Quart Pressure Cooker makes canning and pressure cooking a lovely experience. With its automatic features and clear gauge, you don’t have to keep so much attention to. Ideally, you can attend to many other household errands as the pressure cooker does a wonderful job for you. For homeowners who want an extra-large electric pressure cooker, the GoWISE USA 8 in 1 Programmable Electric XL Pressure Cooker (12QT) will blow you away. Like the better option that it is, this pressure cooker is a programmable 8 in one pressure cooker. You could use it for cooking rice, beans, making yogurt, as a steamer, food warmer, and slow cooker among many other food preparations options that you have today. It is customized with 16 built-in smart cooking programs and further tailored to work with 12 cooking presets. It is awesome for your cereals, stew, porridge, steamed food, and as an egg maker. Unlike many other pressure cookers, the GoWISE USA 8 in 1 Programmable Electric XL Pressure Cooker (12QT) goes a notch higher to adopt the 2 LED LCD display systems. The LCDs are designed to present the time and display the pressure. In fact, they also feature a delay time whenever you choose to cook at a certain time. The best thing about the GoWISE USA 8 in 1 Programmable Electric XL Pressure Cooker (12QT) however is, the cooking time and the pressure required is easy to adjust from the 2 LCD displays. The pressure cooker is also coated with ceramic and comes with a few other ideal cooking accessories including a rice scooper and a measuring cup. The GoWISE USA 8 in 1 Programmable Electric XL Pressure Cooker (12QT) is heavy, weighs about 32 lbs and measures 13 x 15 x 16 inches. Must be handled with a lot of care. The GoWISE USA 8 in 1 Programmable Electric XL Pressure Cooker (12QT) consists of eight programmable functions. It is preset depending on the type of dish you want to prepare. Once you have set the switch on, press on the most suitable preset for your food. Overall, the GoWISE USA 8 in 1 Programmable Electric XL Pressure Cooker (12QT) makes cooking an awesome and easy experience. You don’t have to strain anymore. With this best electric pressure cooker, you can easily program your food. You can also press on any cooking preset to simply have a customized cooking delicacy. When we came to this, we loved its simplicity. The Silver Power Pressure XL 6 Quart Cooker is an absolute beauty. It is extra large in size. It uses electricity. And it allows you to prepare delicious dishes and healthier meals for your home. It is 70% faster than the traditional pressure cookers. The Silver Power Pressure XL 6 Quart Cooker uses Flavor-Infusion Technology. This technology allows it to trap superheated steam in the cooking pot and in turn easily force liquid moisture into your food. Like any other best pressure cookers, the Silver Power Pressure XL 6 Quart Cooker comes with a LED LCD display panel. This allows you to program your cooking or use the preset cooking options that are available. It also allows you to manage pressure and cooking time. The Silver Power Pressure XL 6 Quart Cooker is an awesome cooker for slow foodstuffs and would do the job 10x faster. For safety, the pressure cooker features a manual steam release and a safe lock lid that keeps it locked up tight. Additionally, it has an automatic design that allows it to keep your food warm. And that’s not all, The Silver Power Pressure XL 6 Quart Cooker also has a large and sturdy arms. The arms are made out of plastic to reduce any cases of burns. This pressure cooker holds up to 8 quarts. It features stainless steel housing and weighs only 9 pounds. It measures 12.5 x 14 x 12.5 inches in exact dimensions. Once switched on, use the cooking presets or program your dishes to cook 7 times faster with The Silver Power Pressure XL 6 Quart Cooker. Maximize on the flavor infusion technology so you can have soft and yummy food for your loved ones. It is simple to use and works easily. Not ideal for larger families. The Silver Power Pressure XL 6 Quart Cooker is definitely one of the best electric pressure cookers. For any homeowner who wants to enjoy a simple cooking functionality, this pressure cooker will make your job pretty easy, enjoyable, and simple to work with. The Silver Power Pressure XL 6 Quart Cooker is the perfect choice for your home. 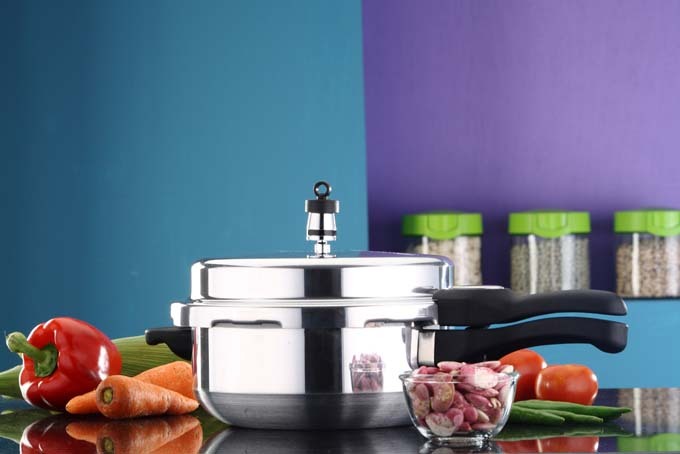 For the best pressure cookers, you can always go for a traditional or electric cooker. Depending on your choice, there are a number of considerations that you’d also love to keep in mind. Some of the most important things that you have to keep in mind will include the followings. First thing is the price. A price is an important option that cuts across all the best canners. It is advisable to look for an affordable cooker. This should be a cooker that falls within your budget and possibly allows you to save too. For my case, the GoWISE USA 8 in 1 Programmable Electric XL Pressure Cooker (12QT) at only $115 in many online buying sites would be a great deal. However, that will depend on your income too. The next in line is durability. Look out for the type of material use to make the cooker. We recommend sturdy aluminum or stainless steel alloy. The Silver Power Pressure XL 6 Quart Cooker may look delicate but because of the stainless steel alloy that it’s made out of, the cooker will withstand heat, overuse, and in fact with a little care last longer than its expected lifespan. But that’s not all the best pressure canner should also have cool functionalities. It should a have preset cooking options, gauges, and pressure release valves among other things. In fact, under functionality, The Buffalo Stainless Steel Commercial Series Pressure Cooker (32-Quart) takes the prize home. With a four safety valves at the top, easy handles, and faster thermal conductivity capacity this cooker represents the best functionality. Again you should look at user reviews. You want to know the past user experience before you jump onto the pressure cooker you just bout, visit ideal websites. As an ideal example, you’ll find that many reviews about The All American (921 21-1/2) Quart Pressure Cooker stress on the cooker’s additional safety screws at the top, size, weight, gauge, and easy overpressure release valve. Finally, safety is very important. Always ask yourself the following questions. How safe is the pressure cooker? Does it have plastic handles, tight fit lids, and pressure release option that you could use? 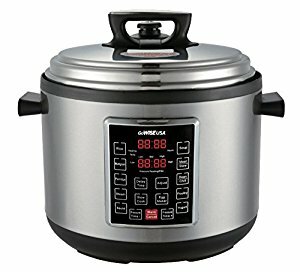 The New All American 915 USA Made 15.5 Quart Pressure Canner/ Cooker, for instance, employs an awesome stem seal that prevents steam from escaping and posing any danger. Additionally, it has super easy to use handles. 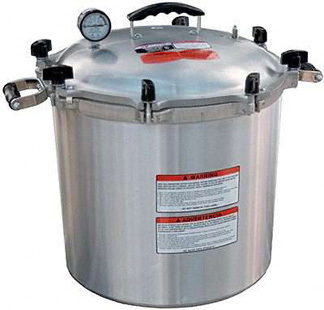 Overall choosing the best pressure canner/cooker requires diligence. You should do your research well and make sure you get a pressure cooker that serves your needs. Always read the best pressure canner reviews, ask your loved ones, visit crockery shops, and possible go with cooking magazines. Once you enlighten yourself the job will be easy. Good luck!